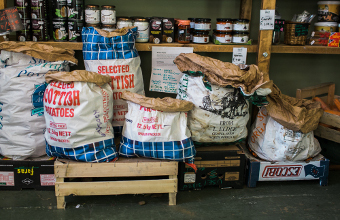 We do our best to keep our shelves full of affordable, good food and the household items you need most. 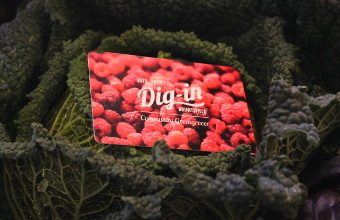 Dig In works with local and regional producers and suppliers to stock a wide range of fresh fruit, vegetables, herbs and eggs. Beyond the front shop and past the shelves of fresh bread, you’ll find a second room full of pantry staples, biscuits & snacks, chilled items and household goods. 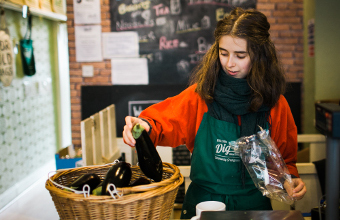 Make shopping simple with a Dig In supporters account, and help us flourish as a community enterprise. It’s easy, flexible and interest-free! If you love cooking or you’re looking for something simple for dinner, we make it easy for you to find what you need. Join our brilliant team of volunteers – it’s a great way to learn a new skill, get some work experience, and make lots of new friends.